What do you do with leftover roast chicken or rotisserie chicken? 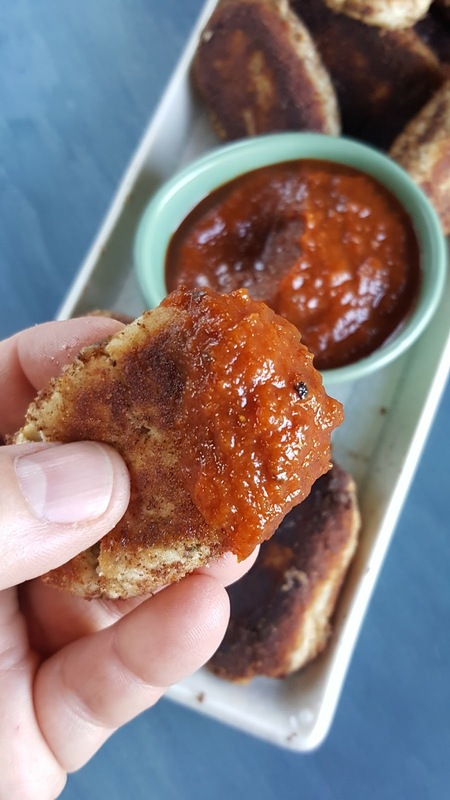 I'll often turn it into chicken salad, but yesterday I wanted something different...and I was really in the mood for something I could dip into Fruitchup, the brand-new paleo ketchup I launched this week. So I put my leftover cooked chicken into the food processor with an egg, some onion and a little mayonnaise, rolled little logs of the mixture in coconut flour, and fried them in avocado oil, for some absolutely perfect paleo chicken croquettes. They were great warm, excellent at room temperature, and delicious cold in the morning. And they were PERFECT with the Fruitchup, a bold ketchup that's sweetened with fruit (raisins and dates) instead of sugar or corn syrup. I realize it's ironic that after three-plus years running a company called Not Ketchup, I am now making...ketchup. But my new Fruitchup has a lot in common with my Not Ketchup sauces. They're all paleo, low-carb, vegan, gluten free, and diabetic-friendly. And they're all made without any added sugar, sweetened only with real fruit. There's enough sugar in the world. We could all stand to eat less of it. 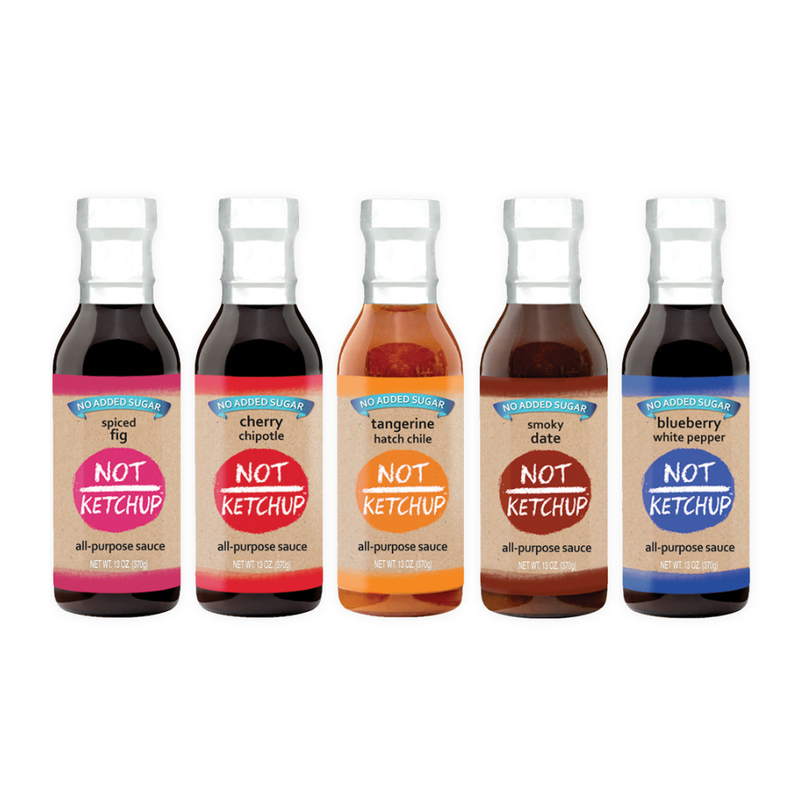 Fruitchup has zero added sugar, zero corn syrup, and about half the sugar per serving of regular ketchup. It's not sugar-free, because fruit has natural sugar, of course. But it's way better for you than the regular red stuff, which is mostly corn syrup and white sugar. Check out my new Fruitchup paleo ketchup on my website, or buy Fruitchup on Amazon. And make these paleo chicken croquettes - they are fantabulous (as my late father would have said). Place the chicken, egg, mayonnaise, salt, pepper, and pickles (or whatever you're using) into a food processor. Process until relatively smooth. If the mixture seems too loose to form into small logs, refrigerate for 30 minutes to let it firm up. Put the coconut flour in a shallow bowl. Roll small logs or patties of the chicken mixture with your hands, then coat them in the coconut flour. You should end up with about a dozen 2-inch logs. Heat the oil in a shallow frying pan over medium-high heat. 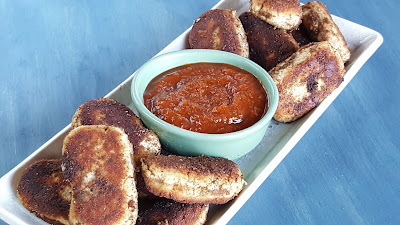 Fry the croquettes until golden brown on both sides. Drain briefly on a plate lined with paper towel. Serve immediately with Fruitchup paleo ketchup or your favorite dipping sauce.